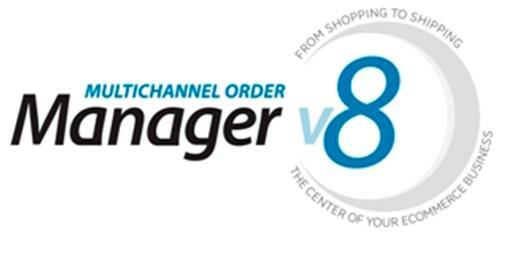 Dydacomp is excited to announce the release Multichannel Order Manager v7.1 build which is now available for your M.O.M. system. We have made important updates for M.O.M. v7 that offer number of fixes for errors that improve the order management modules and ecommerce interfaces including eBay, Shopsite, Yahoo. The adjustments were made to ensure that your business has the tightest integration between M.O.M. and ecommerce activity to improve functionality. This update will also allow the use of seasonal M.O.M. seats. Therefore, when your busy season hits you can be prepared and purchase extra seats only when you need them. M.O.M. 7.1 also includes an enhancement to the inventory management aspect. This enhancement in 7.1 is a new screen for the Adjust Inventory for Stock Item function. 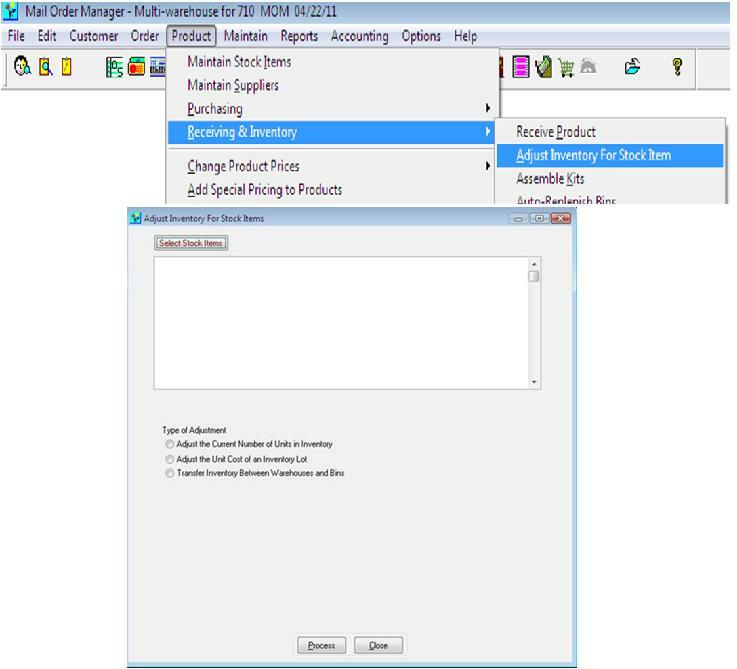 This Screen will allow you to make stock item adjustments for multiple stock items. Check out this article on the M.O.M. User forum for more information about this enhancement. We recommend that you make a back up of your system prior to the update. This update will function like any normal program update and exclusive use of the system is required for this update. If you have auto update enabled, the update will be applied to workstations at log in. If you do not use the auto update, be sure to update all workstations using M.O.M. with the new update. If you have any questions or concerns, please contact Dydacomp Technical Support at (973) 237 0300 or through the online ticketing system. A Growth Idea That Pays for Itself in a Month? This actually makes perfect sense when you realize that all the enhancements Dydacomp makes to our Mail Order Manager and SiteLINK software come from our clients who every day are trying to figure out how to grow transactions. Dydacomp meets with as well as surveys our clients (including you) to enhance Mail Order Manager and SiteLINK with your growth generating ideas. The only other enhancements Dydacomp comes up with are regulatory (like PCI Compliance) and changes that Microsoft makes to the base code of the tools we use. 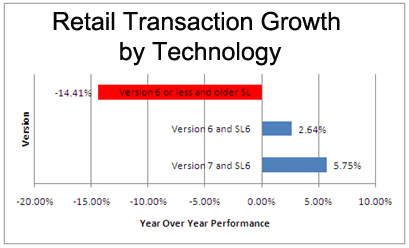 It’s easy to see that being on the latest version of Mail Order Manager and SiteLINK, on average is worth 5.75% in transaction growth from the chart above, but let’s go through an example of what it could mean to your business. Your company is doing $900,000 a year in sales, averaging $100/transaction for a total of 9,000 transactions a year. You also have 5 seats of an older version of Mail Order Manager and SiteLINK and your list price to upgrade to Version 7 of Mail Order Manager is $5,000. That also includes a free upgrade to the next version of SiteLINK. If you had upgraded on January 1, your April year to date sales would be $300,000 and 3,000 transactions. Being on the latest version of Mail Order Manager and SiteLINK would have improved the number of transactions you processed by 5.75% or an additional 172 transactions through April. At an average order size of $100, the increase in transactions would have been worth a total of $17,250 as compared to the $5,000 it cost to upgrade at list price. This means that your payback for upgrading to Dydacomp’s latest technology as measured in months would have been just a little over a month! If you are trying to save money by not moving to the latest Mail Order Manager upgrade, it is going to cost you more in overall business lost than the short term savings generated in deferring the purchase. I know it sounds totally self serving and I accept that, but I can’t think of anything I could recommend to you that would have such a positive effect on your business with that fast of an ROI. Dydacomp’s core purpose is to make it easier for you to profitably run and grow your business and our technology enhancements play a huge role in delivering on that promise to you. A Mail Order Manager customer recently called into Dydacomp Support very upset that after upgrading from M.O.M. Version 5.4 to M.O.M. Version 7i they were encountering the following error when attempting to print their invoices. The owner of the company felt very frustrated because without being able to print proper invoices, their business was at a standstill. Upon reviewing the error they were encountering, I noticed many keywords that stuck out to me and helped identify the problem. Because a specific report file name beginning with the letter ‘D’ is being referenced in the error message, I was able to identify that the error was due to a custom report (see reference 1). Additionally, reading the error text itself, I noticed that the variable being referenced, ‘DESC’, is a field that existed in M.O.M. 5.4 but the name was changed from Version 6.x and up to accommodate program flexibility between our different Visual FoxPro and SQL back-ends (see reference 2). I brought this to the attention of the company’s outside IT consultant and he was unaware they had implemented a custom invoice at some point in the company’s history. Reviewing our own logged sales history for this license, we found no record that this custom invoice was purchased through Dydacomp services. Although Dydacomp does not work with custom programming not developed by us, I understood the critical situation they were in and knew that the coding needed to correct their custom invoice was fairly simple to correct for a knowledgeable Visual FoxPro programmer. I requested their custom invoice files and provided them to one of our programmers for review, explaining to the consultant that Dydacomp Support could not guarantee a definite fix could be made but we would attempt it. Our programmer was able to successfully make the changes needed to their files for their invoice to print without error and align properly. Understanding that we went a little outside our normal Dydacomp Support guidelines to troubleshoot and correct programming not developed by Dydacomp to make their upgrade a success, both the IT consultant and owner were very happy with the extra effort we provided to get them past the initial difficulty they experienced in what is normally a virtually seamless routine.